Hello, Readers, Finally wait is over now 🙂 for Jio users because Reliance Jio officially announced it’s launches data plan, tariffs and all the things by Reliance Chairman Mr.Mukesh Ambani. 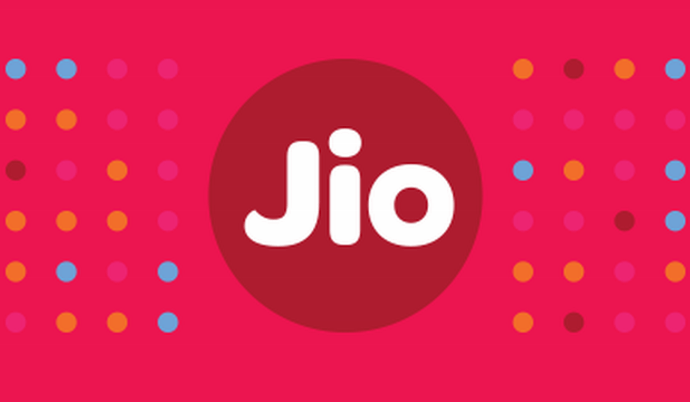 Here all guide of regarding Reliance Jio user to get more benefits of use jio. 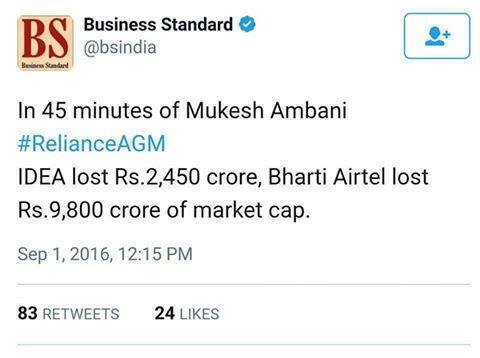 Ambani Declared as ” Now Indian does DataGiri “. “For data, the more data you use the lower the rate. This is the absolute lowest price for data anywhere in the world. 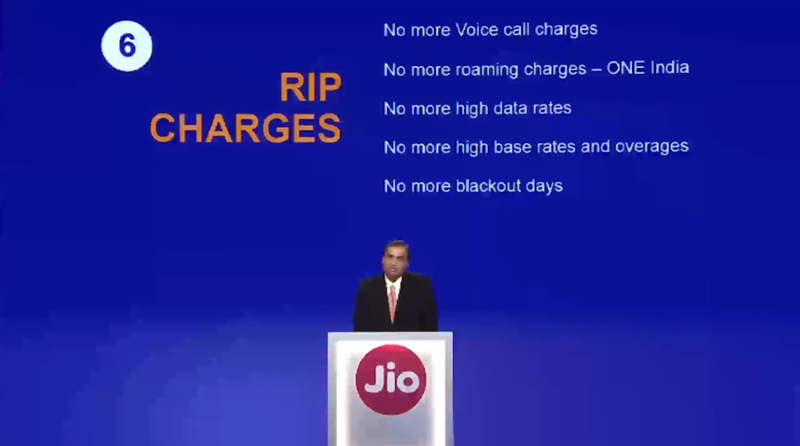 “After every transaction on Jio you will see your bill in real time,” Ambani said. India is ranked 150th out of 230 countries in the world. The Strong network has Aim of 100 million customers. 18k Cities 2 lakh villages Covered by Reliance Jio. VoLte and Mobile Video enabled Network. 5G and 6G Network Ready for the future. Free voice calls to any network no roaming charges. Jio from trusted brand from Reliance So, no worry about customer support. 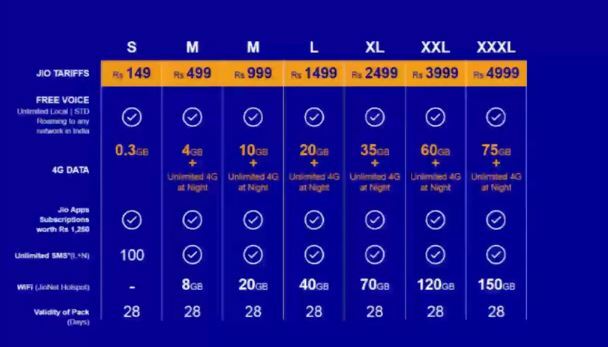 Reliance declares cheapest 4g plan in the world. in 50rs you will get 1gb of the internet and It is around 5 paisa per MB of internet data. It is good for all Indian users. Domestic Calling is free of coast in Reliance Jio. No Roaming Charges Free for Everywhere in India. Reliance Jio giving 50rs per 1Gb and 0.5Paisa per 1Mb. From Medium Plan to large plan everyone gets unlimited data at night. Reliance Jio also announced 25% off for student to surf internet. In every plan, the student will get 25% off to surf the internet and downloading from the websites. 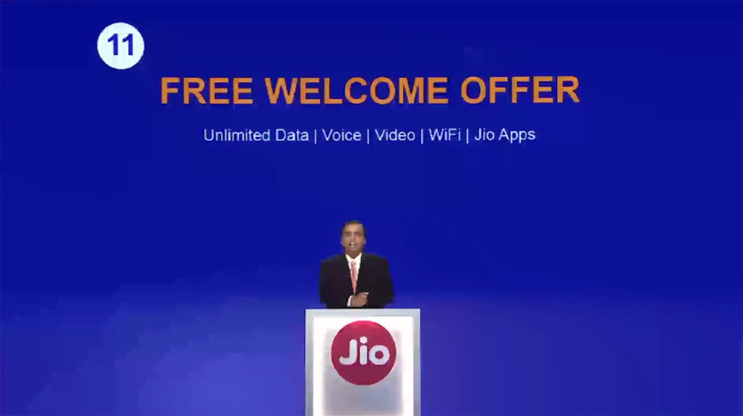 Reliance Jio announced to get the free welcome offer for when you purchase Reliance Jio sim from Market. From 5th September Jio service available for all user till 31st December 2016. So, buy and enjoy the jio preview offers. Student Gets 25% More Data. Free Unlimited Data Service First Four Months. Milestone is 100Millon of Customer. Launched on 5th September 2016. Super Constant and Unlimited data. Good Customer Support & Satisfaction. Lyf is Reliance Retail’s brand of smartphones that was launched in India in 2016. The brand marked the company’s entry into the 4G smartphone market in India. All Lyf smartphones launched as of 2016 run Google’s Android operating system. The company launched smartphones under four sub-brands – Earth, Water, Wind, and Flame. LYF’s latest mobile launch is the Water 11.The smartphone was launched in September 2016. 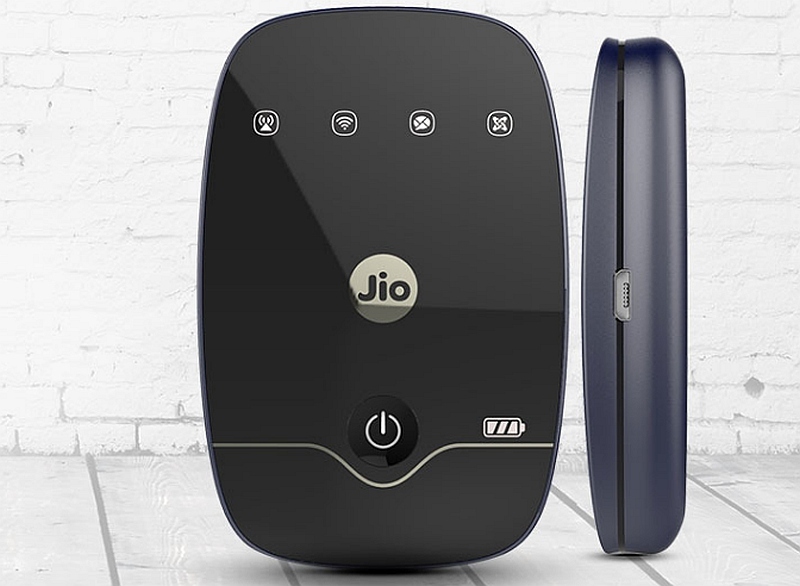 Reliance Jio is not giving 4G offers to its own devices but it is also giving some other phones also like Samsung, sony, and more other devices. this all are enjoyed unlimited HD voice calling and video calling plus unlimited internet for free.